Time for a new roof? 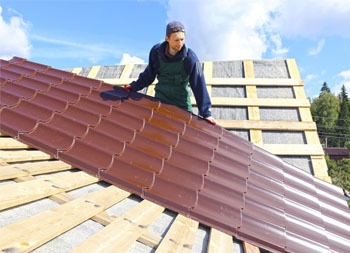 If you’re in need of professional roofing installation services in the Pampa, TX, area, you can count on the experts at Ammons Roofing to get the job done right! After more than 20 years in the business, we’ve seen it all and we’ve done it all when it comes to roofing, and we would love to put our expertise to work in serving your roofing needs. Give us a call today, 806-669-7777 to schedule a free professional roofing estimate! 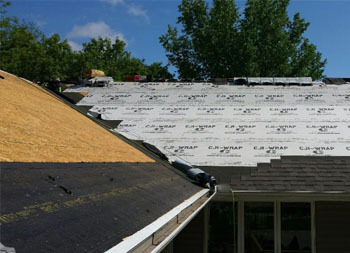 If you need the protection of a high-quality new roof, look to the experts you can trust at Ammons Roofing. We will provide you with the very best options available and work hard to make the re-roofing process easy and convenient! In our more than 20 years in business, we have served over 10,000 clients within the Texas panhandle. We are a locally owned and operated company with a stellar reputation for high-quality workmanship and exceptional customer service, and our clients are quick to recommend us because of the positive experiences they have had with our crew. Our staff members stay up-to-date on local and state zoning laws, building codes and HOA rules, so you can always rest easy that your roof is being attended to properly. Give us a call today at 806-669-7777 and let us take the stress out of roof replacement! For all of your roofing needs great and small, call on Ammons Roofing for quality workmanship you can count on. Contact us at 806-669-7777 today to schedule a free professional roofing estimate. We will send an expert technician to your location to thoroughly inspect your roof and provide you with a thorough assessment of any and all problems and the best options for addressing them.